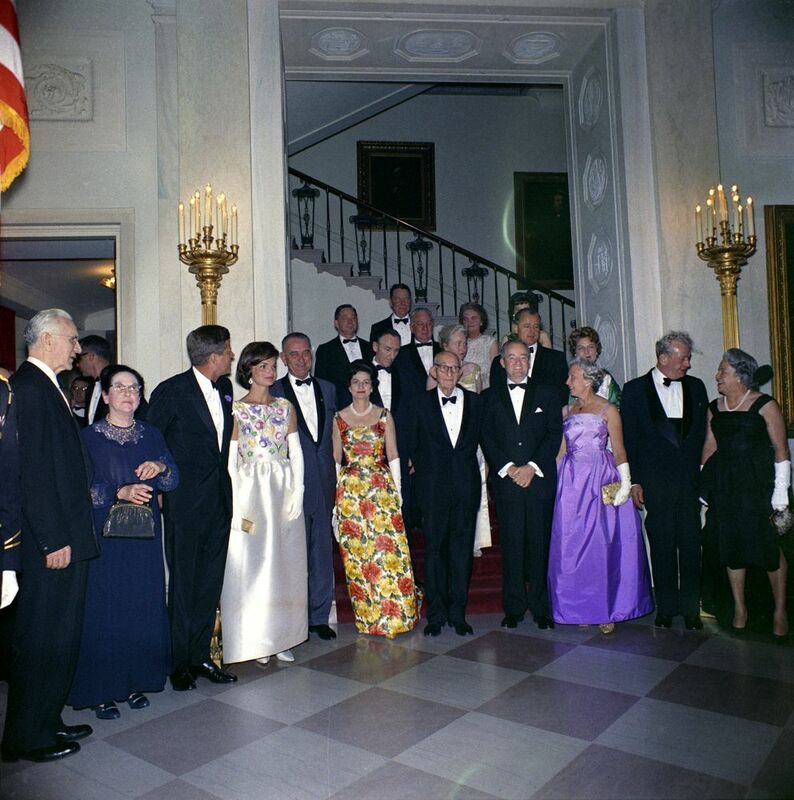 JFK and Jackie hosted the annual Congressional reception for members of the United States Congress and their spouses. Departing from the usual white-tie formality, this year’s reception was a buffet supper with music and dancing afterwards. While readying for the party, JFK was learning of the decision of steel magnate Roger Blough’s to raise steel prices. As the previous year’s reception was held during the disastrous Bay of Pigs invasion, JFK was said to have wrily remarked, “I’ll never have another Congressional reception.